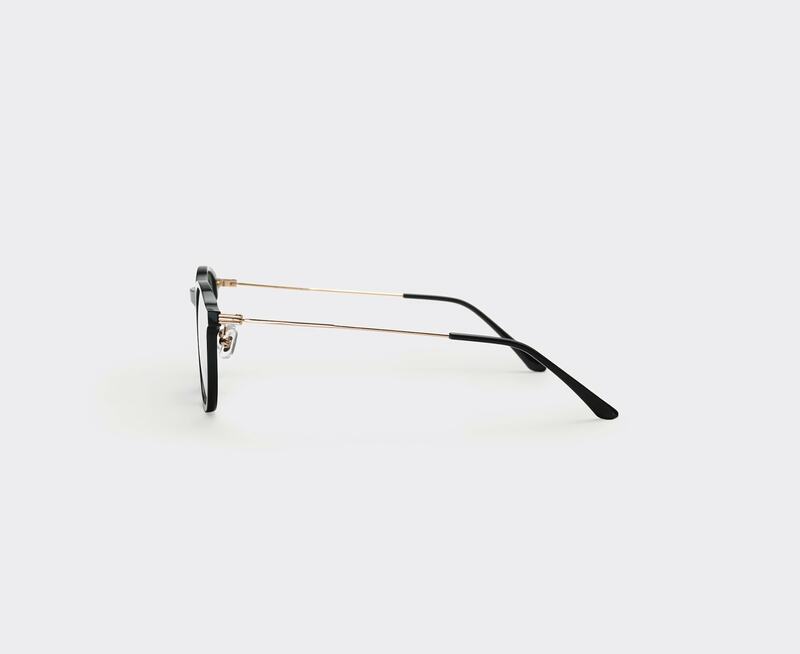 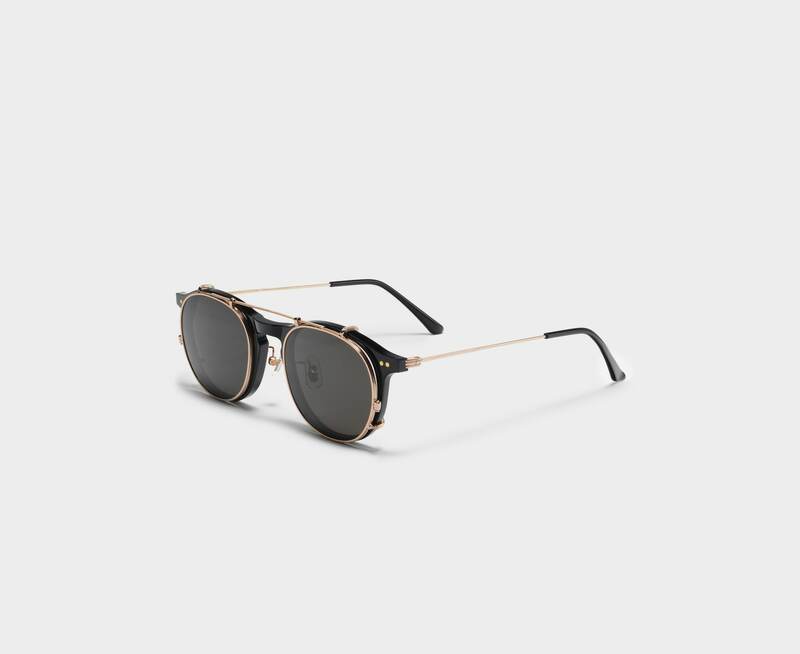 The Cozmo 01 is composed of a black acetate frame front and thin gold metal temples. 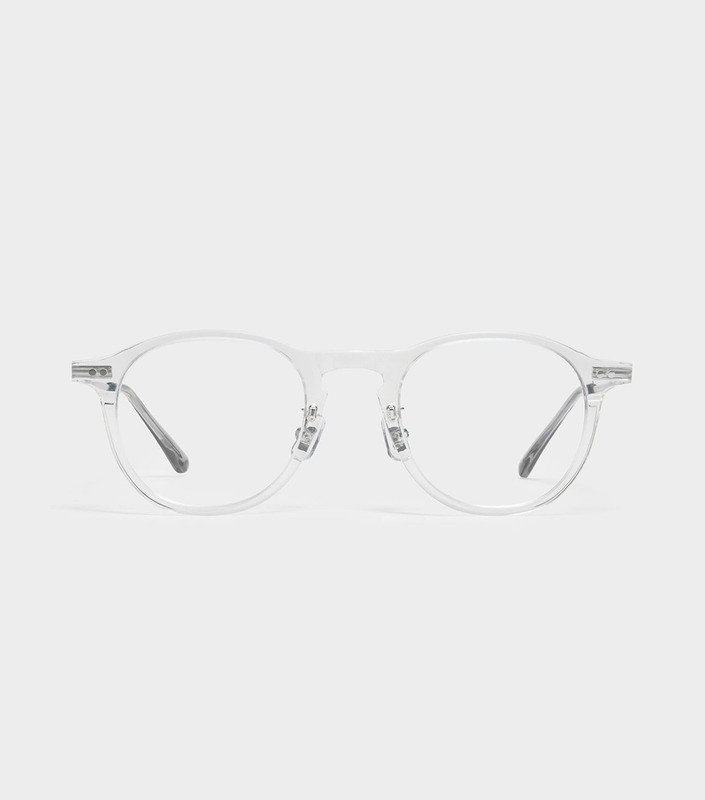 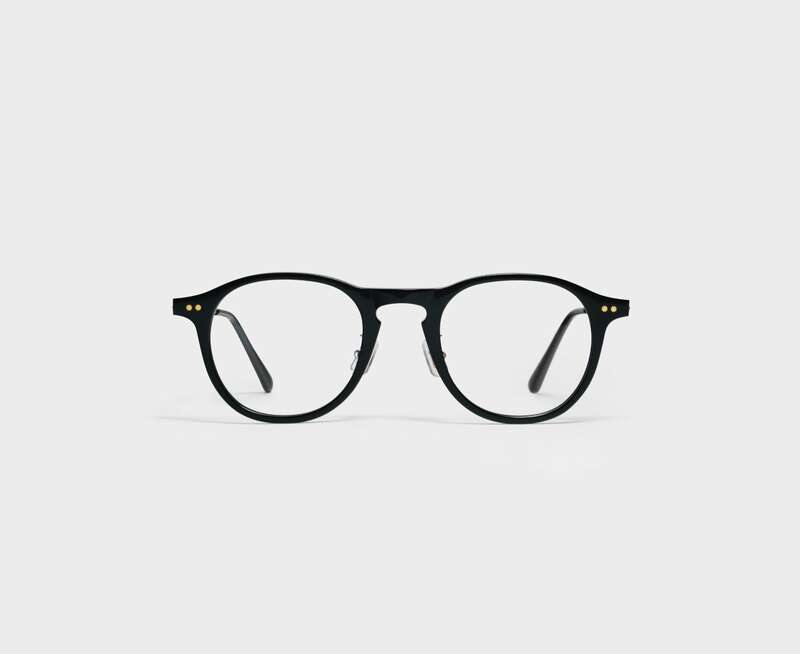 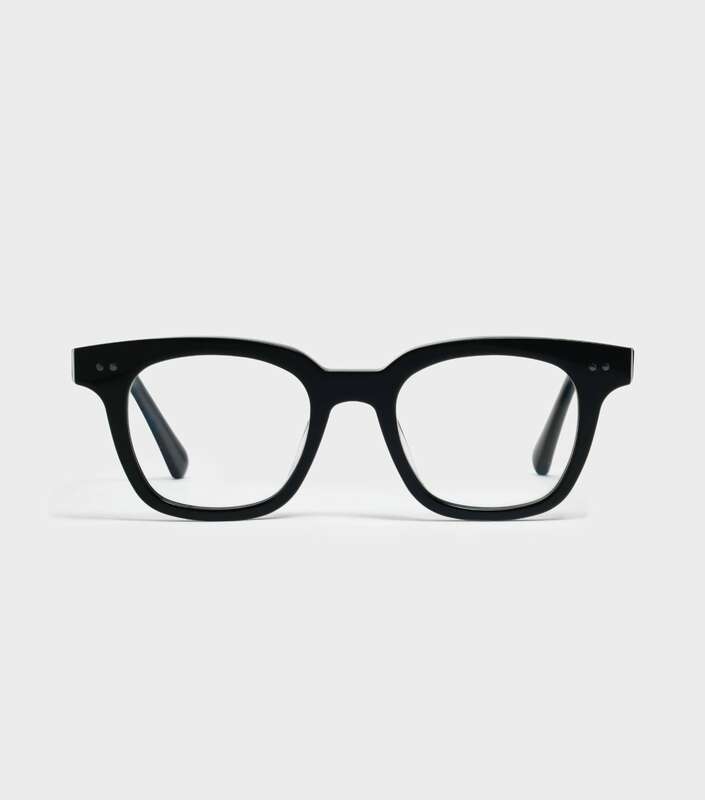 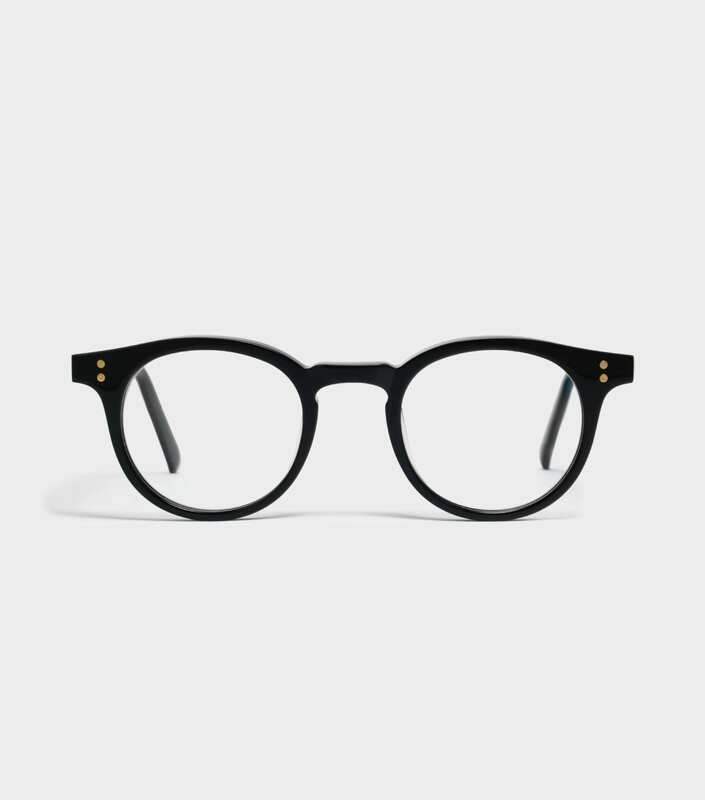 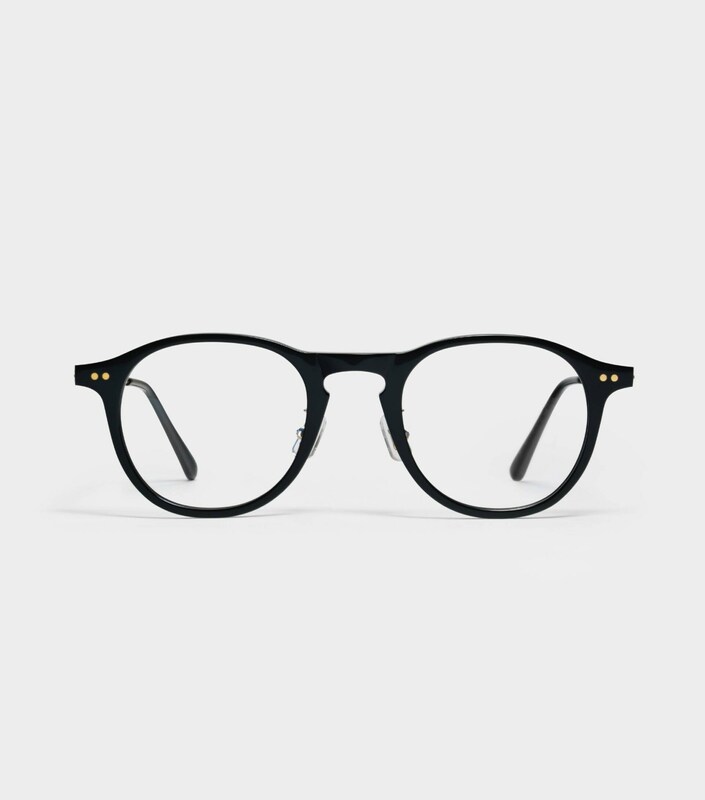 This frame is detailed with a keyhole nose-bridge and black acetate temple tips. 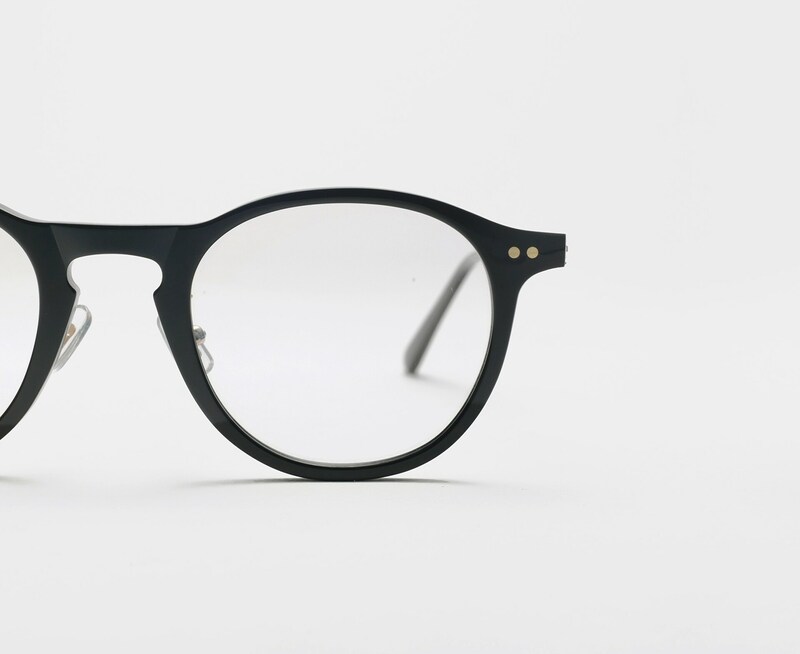 Balancing between weight and lightness, the Cozmo 01 is a fun and playful optical frame for every day wear.